My 2 oldest children have struggled with sensitive skin and eczema since birth and I looked for home remedies and simple fixes for decades for them. In trying to find a solution, I first had to understand skin and the varying skin needs of my individual children. For our son, switching to unscented soaps - even for the laundry. Seemed to improve his overall skin health. And with the added benefit of mild, unscented milk soaps - he had fewer and fewer eczema onsets. For our daughter, keeping bathing at a minimum and lathering up as little as possible is what seemed to help hold off her onsets. But in my daughters teen years her eczema outbreaks have worsened, maybe because of how religiously she showers and exposes her skin to water and over lathers with soap or it could've been be the perfumes she loves to use..it is likely a combination of things. But it's in the dry, cold winter months when she usually can expect a flare up. 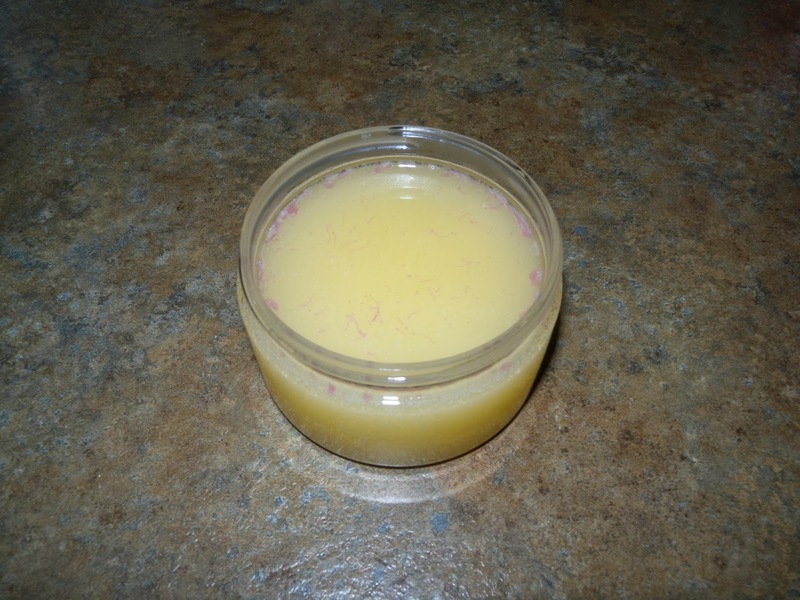 I've found that using mild homemade milk soaps and butters ease her flare ups but when a flare up isn't preventable, she applies a simple homemade cream. 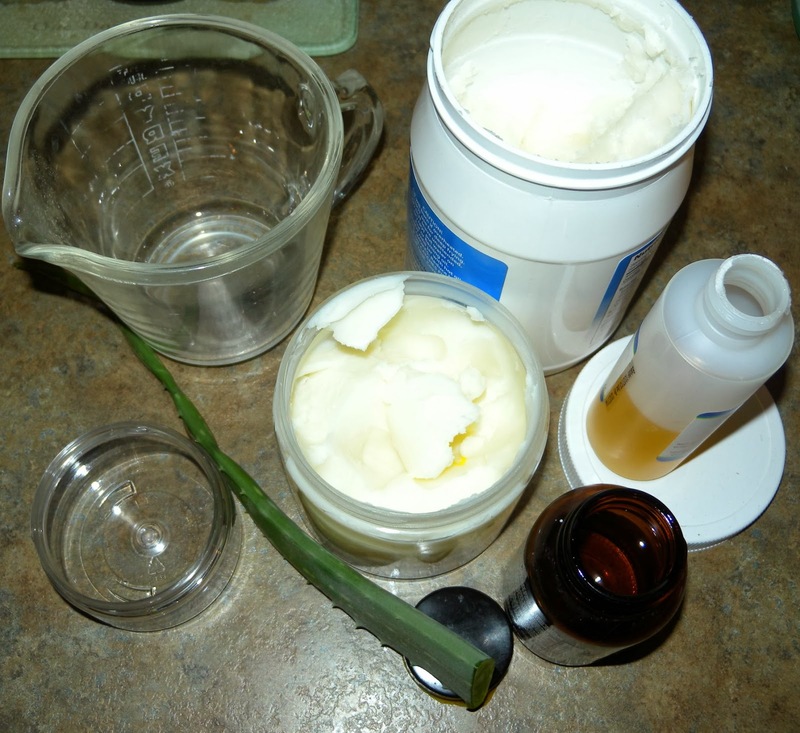 This Aloe Vera cream has been a skin saver for her and has completely taken the place of a steroid cream. If you are not a believer in Aloe Vera..it's time you jumped over here and joined us Aloe lovers. I keep a couple healthy plants growing year around and we all grab a leaf whenever necessary. The hubby is highly allergic to bee stings and insect bites of any kind and rubbing aloe straight from the leaf will bring a swelling bite back down to normal - the sooner he gets aloe on the bite, the better. I have found dozens of uses for Aloe and if you're curious about the whys and whats of Aloe - here is one of many links out there with informative and detailed Aloe info Aloe Vera Facts. If you don't have an Aloe plant around and you can't find one in the store, ask around..someone likely will. Borrow a leaf and try it for yourself - Aloe's a beautiful thing :) I am not a doctor or trained in any way to formulate herbal or medicinal remedies of any kind, I am simply a mom who has tried everything under the sun to give my children some relief. Through endless research, a little experimenting and lots of hands on do it yourself motivation, our eczema suffering kiddos have found that relief. *melt the oils & butters, then add your aloe. 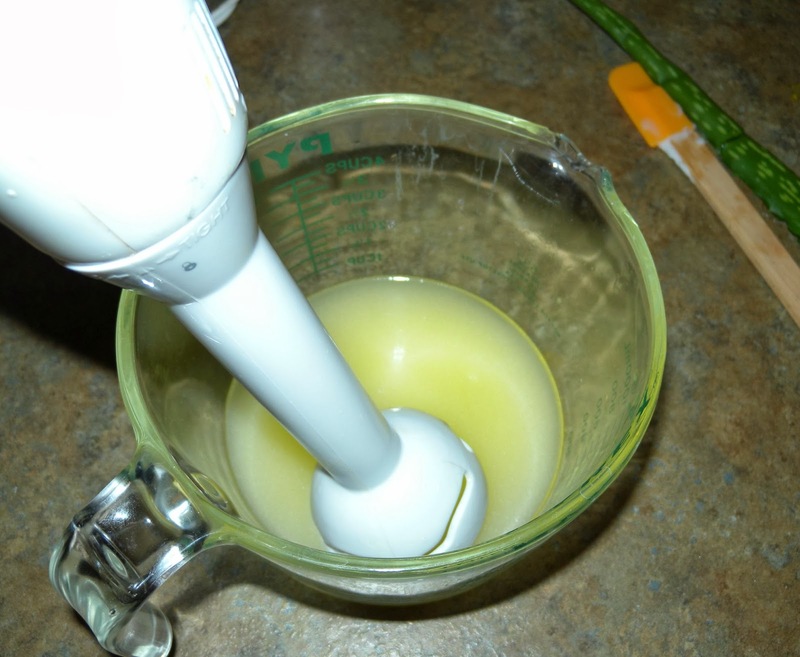 I use a stick blender at this point to really mix that aloe jelly in. Add your tea tree oil and if you plan on keeping this on hand for awhile, you can add a little vitamin E to help preserve those oils and add longer shelf life to the product (my daughter uses it up pretty fast so I rarely, if ever use vitamin E). Mix well and pour into container and refrigerate to cool. Store in a cool place out of sunlight and with a lid. You will likely see veins in the cooled product, these are from the aloe leaf and are expected. Makes approx 4ounces. Love this amazing post, thank you for sharing it with us.